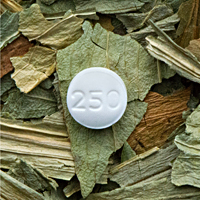 "Imagine this: a medication on sale worldwide is likely to come from plants grown in a few Dutch fields..."
The Fox Got You is an art and science project celebrating common plants at the origin of medicinal drugs (for an overview, go to the home page). How are medicinal drugs made nowadays? And where? We all know about multinational pharmaceutical companies and their financial take-overs but where do the daily pills we rely on come from? They might once have grown on trees, so to speak, as the herbal remedies and plant extracts of yesteryears but surely by now they must all be made synthetically in vast chemical factories, presumably in the Far East? Certainly the majority of drugs are now synthesised. Most of the new "therapeutic agents" on the market have been created chemically entirely from scratch, as new molecules, through synthetic organic chemistry. 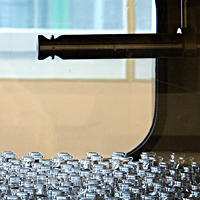 The large scale manufacturing of these drugs must use the same processes. Some of the older drugs can also more easily and cheaply be made synthetically, such as Aspirin and Metformin, two of the subjects in this project (for the section on Aspirin, go to Aspirin and Platelets, for Metformin, go to Galega and Metformin). However, some drugs are still made from plants, because for them, the synthetic chemistry processes are too laborious and expensive. 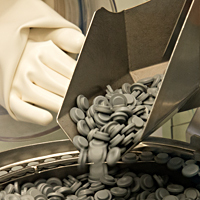 Their Active Pharmaceutical Ingredient (API) originally came from plants and is still extracted from them. This is the case for Digoxin and Colchicine. Another process is called semi-synthesis, which is how Paclitaxel / Docetaxel are made. 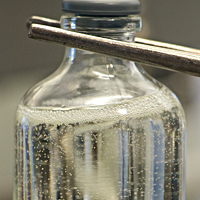 In this case, complete synthesis is too laborious but equally the API supply is limited because the molecule is not present in the plant in large enough quantities. 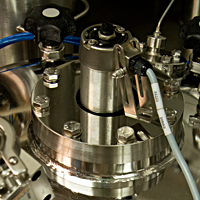 The problem is solved by extracting a broader group of compounds related to the API, which the plant makes enough of, and then to use chemical synthesis on these compounds to transform them into the desired API. For the section on Digoxin, go to Fox Heart, for Colchicine, go to The Gout and for Paclitaxel, go to Cancer and Yew. Plant based drugs are developed through natural products chemistry, a separate branch of chemistry. 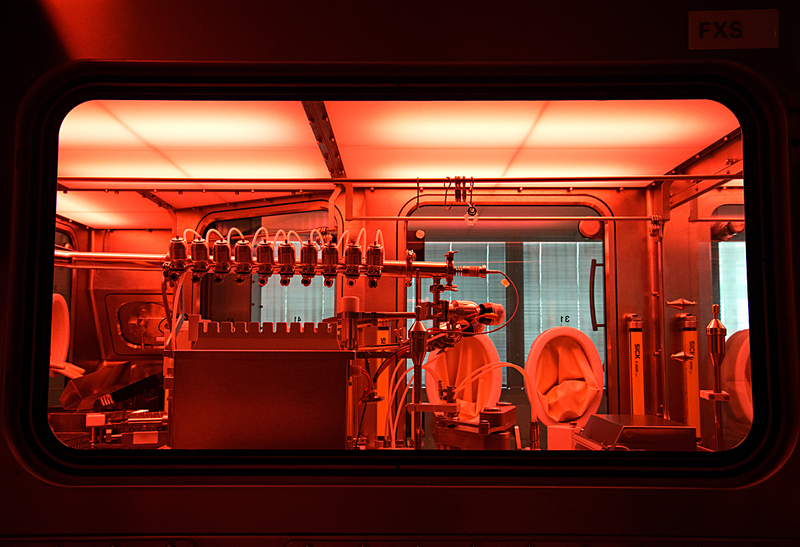 Currently most new drugs are made through synthetic organic chemistry for three main reasons: Firstly the processes involved in the molecules’ synthesis are completely known by scientists and this makes the development of the drugs more efficient. Secondly, these molecules can be patented. 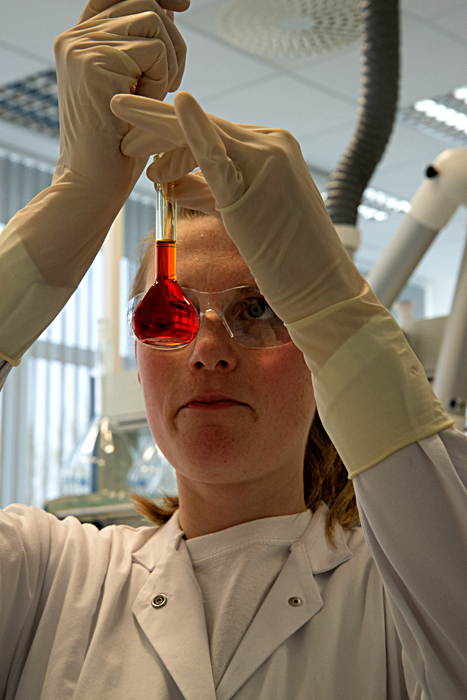 Compounds from natural products, such as plants, are sometimes already in the public domain. Thirdly, the complex chemical structure of natural compounds makes the development of new drugs from them less reliable and more expensive. 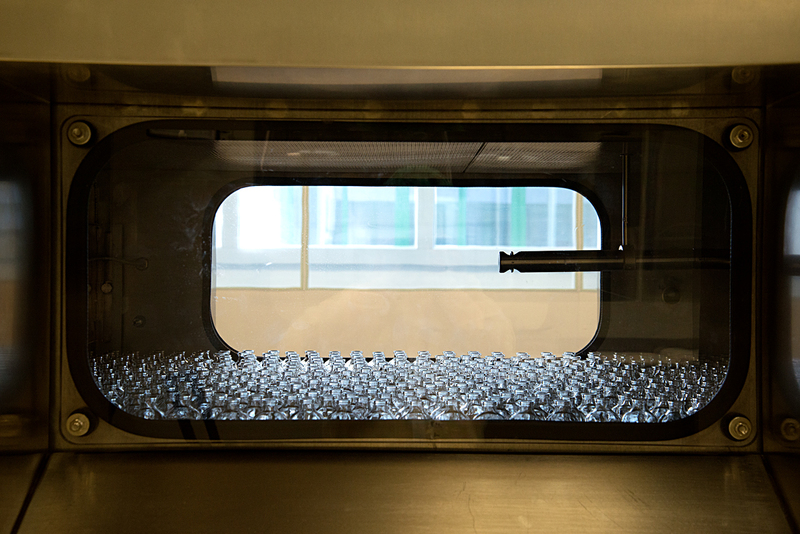 This has led to the industry focusing on synthetic chemistry as the best way to discover new drugs. 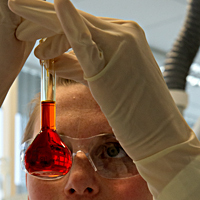 Natural products chemistry is now seen as less relevant, a bit of a relic of a bi-gone age. This attitude reflects that of our society in general, which sees the natural world as something to control or ignore, rather than use and learn from. 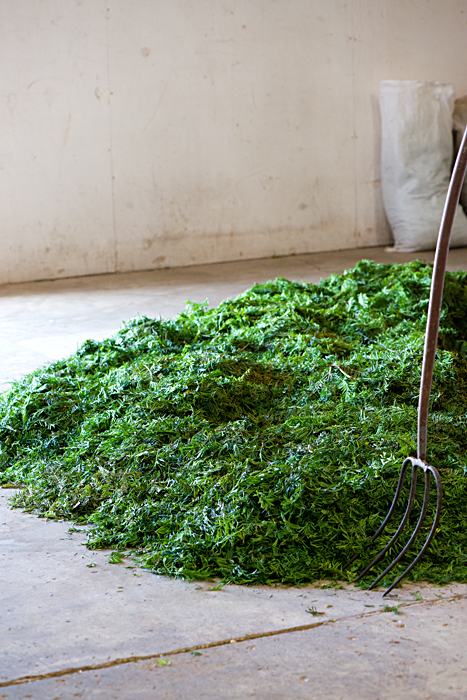 In this project artist Françoise Sergy wanted to trace the making of one drug from the growing of the plant to the manufacturing of the final product. She was aware that the supply chain would be long and convoluted, with a journey criss-crossing the world. She also knew that the pharmaceutical industry can be very secretive, unlike some of the academic world, mainly because of the need to protect the commercial value of intellectual property. 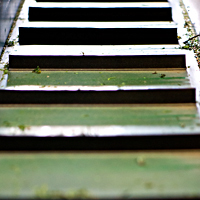 A university is often keen to have its research published, to gain recognition within the public domain for its ideas. A pharmaceutical company will want to patent its discoveries and make money from selling its products. Both approaches are needed but in her view the overall aim should be for the common good, not purely to line up shareholders pockets. As the artist had thought, the journey from the plant to the drug involves many companies in different parts of the world. In the case of Paclitaxel, the yew trees are not grown commercially in Europe. 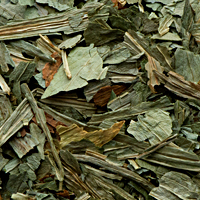 Instead, the leaves are harvested from private gardens in several countries, including Britain, then sent for extraction to the Far East and Canada. The compounds extracted are called Taxanes. These Taxanes are then made into Paclitaxel by other companies, using a synthetic chemistry process. We now have the Active Pharmaceutical Ingredient. 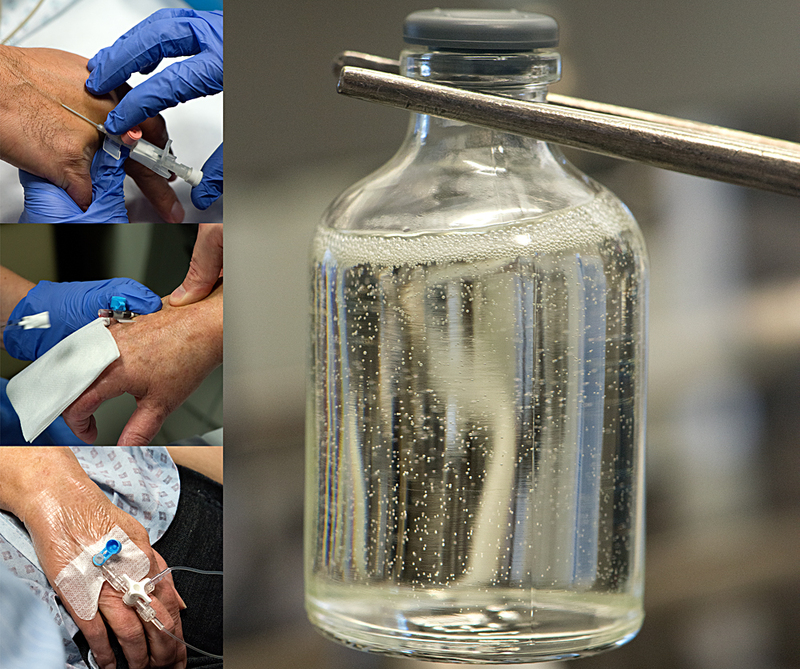 This API then returns to Europe, to be made into a sterile product, ready for use. Finally, other companies label the product, market it and sell it to hospitals. So, if you do happen to have a yew hedge in your garden, you can imagine that its leaves, collected by yourself, would have travelled to Asia and back to Europe in the process of making Paclitaxel. 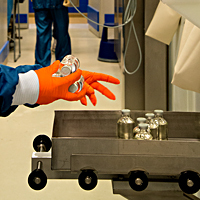 In the past, large pharmaceutical companies produced the drug within their own manufacturing facilities. Now a combination of market forces and government regulations have lead to this globalised economy. 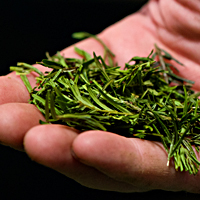 The yew tree leaves may be small but they certainly travel far in their journey to become a chemotherapy drug. 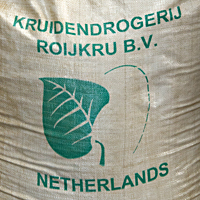 The company Kruidendrogerij ROIJKRU, based in Oss in the Netherlands, specialises in the cultivation and processing of herbs and medicinal plants. Founded in 1983 by the Rooijakkers family, following years of experience in the field, it is the world’s main producer of Digitalis lanata for making the drug Digoxin. The company is based both in the Netherlands and in Cameroon. It works with pharmaceutical companies in China, India and Vietnam, who extract the active ingredients from the plants and produce the final drugs. The plants processed in the Netherlands are Digitalis lanata and purpurea (foxgloves), Taxus baccata (yew), Valeriana officinalis (a sedative) and Echinacea species (for the cosmetics industry). The plants processed in Cameroon are the Yohimbe bark (for erectile dysfunction), Rauwolfia roots (an anti-psychotic and anti-hypertensive) and Griffonia seeds (an antimalarial). For a link to the company's website, please go to the Links page. 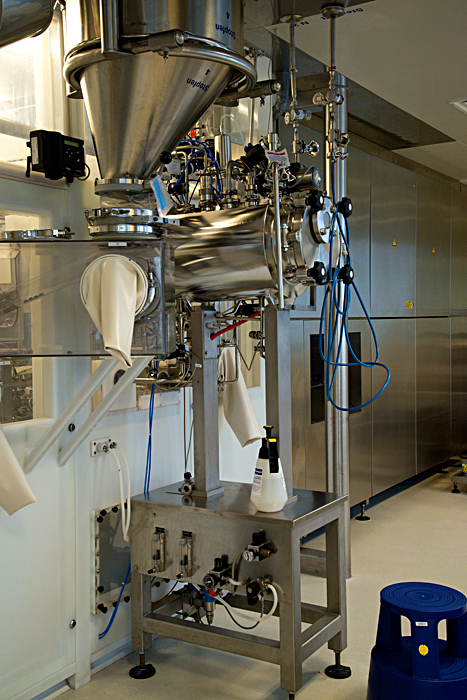 In the past, pharmaceuticals were manufactured in Europe but now only the cultivation / processing of medicinal plants and the manufacturing of aseptic products still take place here. The chemical extraction process, with its use of solvents, causes many safety and environmental issues. Tighter European laws on water, soil and air pollution have lead to the development of the industry in Asia, where controls are less strict or at times not applied. 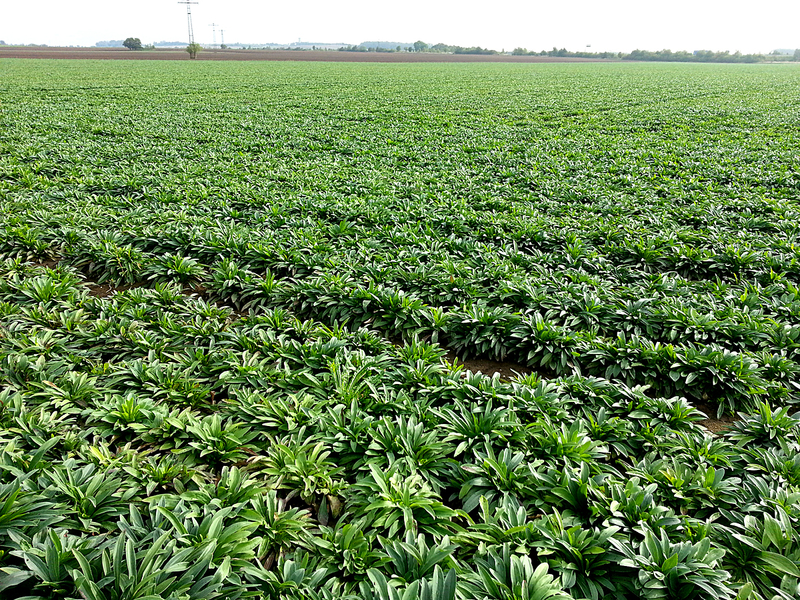 At Kruidendrogerij ROIJKRU, the production of Digitalis has three phases: a breeding programme to produce high yielding plants, the growing of the plants for harvesting and their drying, ready for extraction in Asia. Plants are a natural product: They contain many related but different compounds, some more active than others. Digoxin, found in Digitalis lanata, is the Active Pharmaceutical Ingredient (API) which makes the drug, also called Digoxin. The API is the most potent ingredient. Other active compounds are also present in Digitalis lanata but these must be chemically altered to be made into the API. Digitalis purpurea, the common foxglove, contains a different API, Digitoxin, which is now rarely used. So, Digitalis lanata is the main crop. Since 2004 the company has developed a breeding programme with the aim of increasing the concentration of all of the plant’s active compounds. 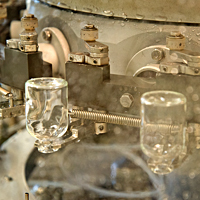 A higher concentration makes the extraction process more efficient by reducing the amount of solvents used. 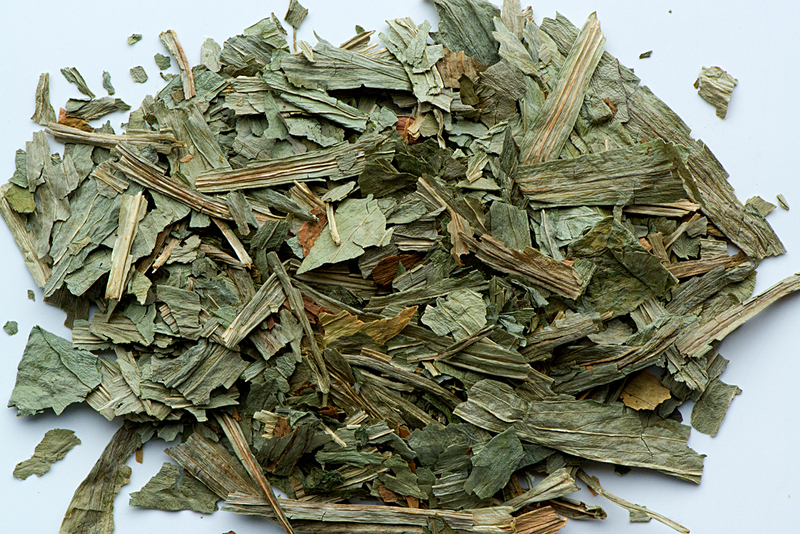 Before breeding started, the concentration of all the active ingredients in Digitalis lanata was 0.3%. 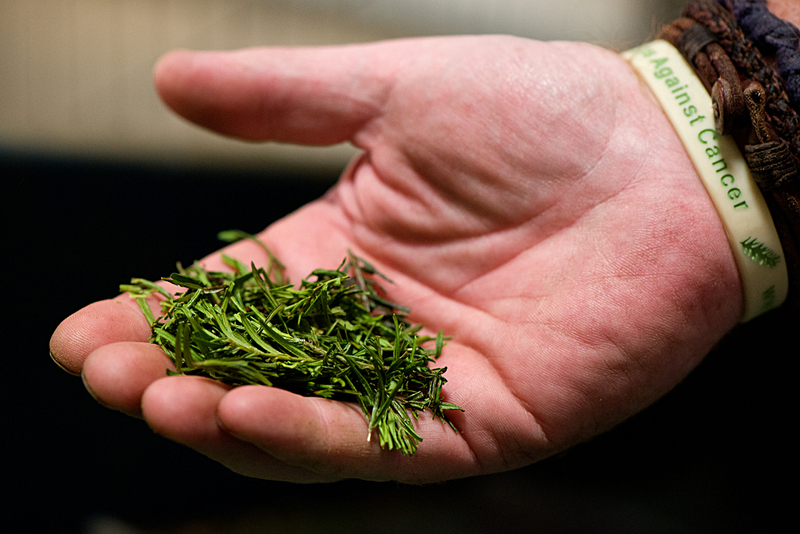 In 2014, the plants bred by the company contained up to 1.4% of active compounds, a significant improvement in the yield. These Digitalis lanata are unique in the world and a real source of pride for the Rooijakkers family. 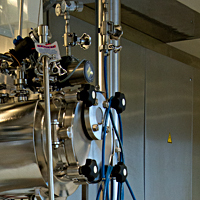 The company has also worked with university chemistry researchers to develop ways of maximising the API yield. 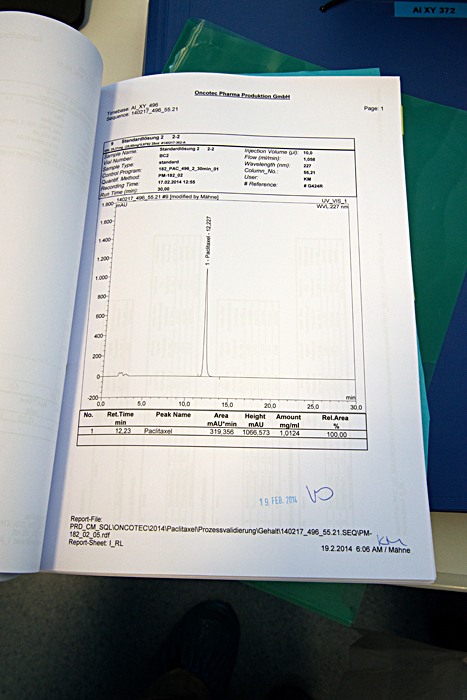 In Digitalis lanata, the actual API (Digoxin) is produced only in tiny quantities: at a concentration of 0.2%, even after the breeding programme. The main active compound is Lanatoside C, at a concentration of 1.2%. In 2003, a method of semi-synthesis was developed to convert most of the Lanatoside C into Digoxin, hence making much better use of the plant’s original molecules. 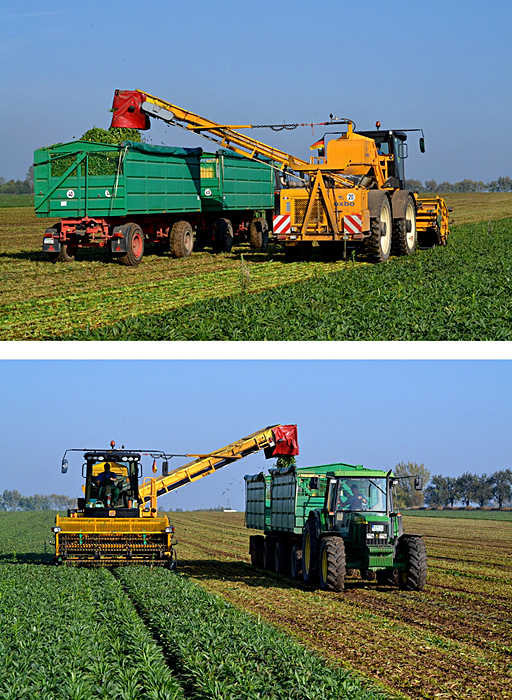 Kruidendrogerij ROIJKRU works with fifteen Dutch farmers to grow the crop over 40 hectares for a 120 tons harvest. 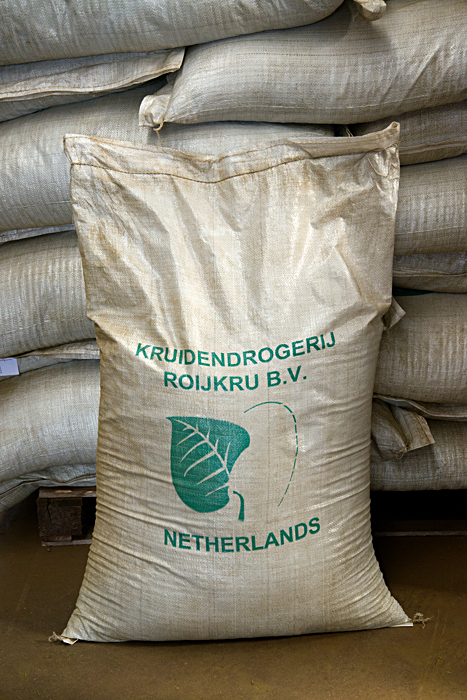 The company supplies the seeds from its breeding programme and the farmers grow the crop. Foxgloves are very tough plants, not prone to pests and diseases, presumably thanks to all their potent molecules. They prefer average soil, not too sandy or clayey. 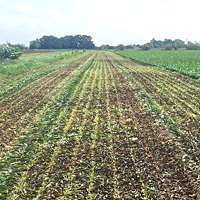 Seeds are sown in April and germination occurs one to two weeks later. The farmers have to follow strict guidelines: Medicinal plants must be grown without the use of pesticides or herbicides, so all weeding is done by hand, not a usual agricultural practice nowadays. The plants take time to cover the soil with their leaves, so weeding continues until mid-July. They are grown slowly to encourage the production of the active compounds, which are made when the plants mature. Too fast a growth with too much fertilisers or in very warm weather reduces the API yield. 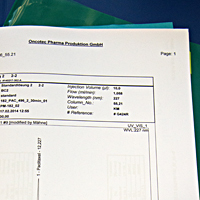 Plant samples are taken regularly and the build-up of compounds determines the level of fertilisers used. From September, samples are taken weekly and harvest starts when the optimum concentration of API is reached, any time between mid-September and late October. 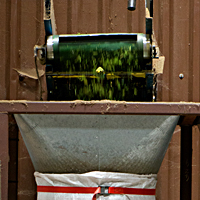 Each plant has now formed a rosette of leaves and these are harvested by machine. 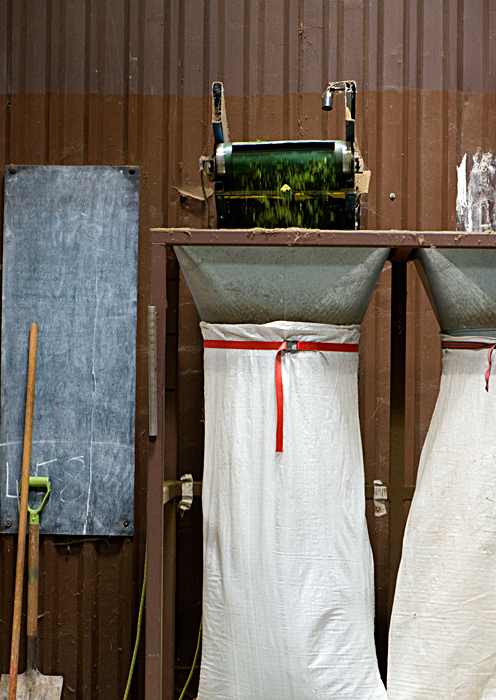 The drying is done immediately to avoid spoiling and fermentation. 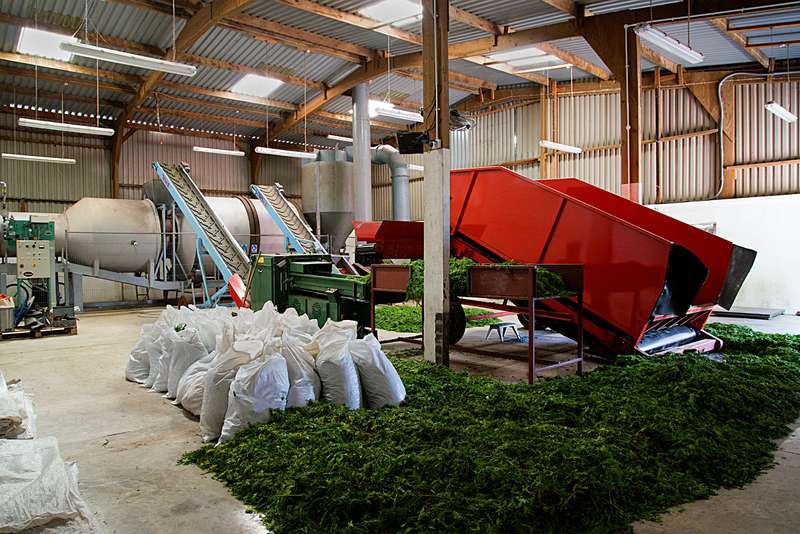 Each part of the process potentially lowers the API yield, so over the years, the company has developed a tried and tested method of drying the plants, using equipment specifically designed for the work. 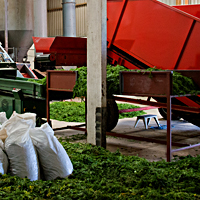 The whole facilities are cleaned and fumigated before the processing of each different plant species. Digitalis leaves are cut beforehand to speed up the drying time. They are no longer washed before drying, because this lowered the yield. Instead, they are sieved when dried to remove stones. The drying temperature is very carefully controlled - too high and the compounds are destroyed, too low and the leaves won’t dry fast enough. 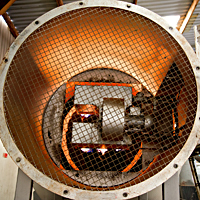 The final product has a moisture content of 7%, which ensures that it remains stable for several years. Whilst drying, the plants release a significant amount of volatile oils, which can become toxic in large doses. Workers have to wear masks to protect themselves: Nose bleeds and dizzy spells are not uncommon in the drying sheds. 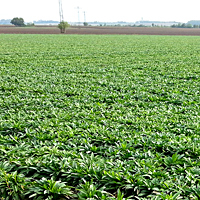 Imagine this: Digoxin tablets on sale worldwide are likely to come from plants grown in a few Dutch fields... This is no doubt helped by the fact that Digoxin is such a potent active ingredient that each tablet only contains a microgram amount of the drug. 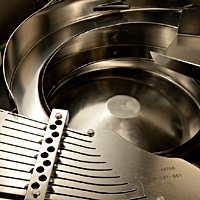 Limehurst Ltd is based in Chichester, West Sussex, Britain. It specialises in the harvesting and processing of medicinal & cosmetic plants, particularly yew hedge leaves (Taxus baccata) for the production of chemotherapy drugs. The company collects the leaves from a database of 5000 gardens in the UK, from small private gardens right up to large estates. The best harvesting time is between June and September, when the leaves produced in the spring are still young and full of Taxanes. Once the shoots become woody, the level of Taxanes decreases, so yew hedges pruned every year are the best candidates, rather than mature specimen trees. 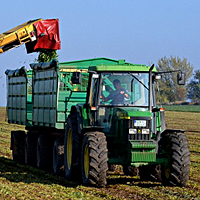 The company’s harvest is between 300 and 400 tons per year. For a link to the company's website, please go to the Links page. 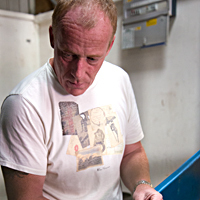 Limehurst was set up in 1992 by Michael Howlett and Philippe Wanty who came over from France. 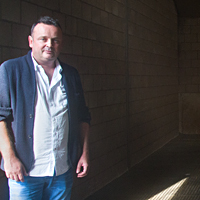 Michael describes here how the company has developed over the years: "At first it was The Dark Ages: Back when Limehurst started out, there were only two of us cutting / drying / collecting / running the office / doing accounts / packaging / exporting 24 hours a day. We had only one drying bed knocked up with plaster and blocks, which was temporary and had to be taken down at the end of the harvest. This was followed by Shoestring Working: More beds were created and larger barns found. We did long shift patterns, working through the night with a core team of 50 workers. The work was so physically demanding that by the end of the harvest, the ones who had stuck it out discovered muscles we never knew existed before. This continued until the "Zis Is Ze Hell But Not For Whales" moment: Almost 10 years on from the first harvest, after collapsing face down onto a bed of yew leaves because of extreme exhaustion, the French boss declared "zis is ze hell" and a rotary drier was installed. On hearing the machines’ melodic whirring, howling and baring noises, the electrician who was installing the drier said to look out, or whales would soon be flopping into the barn." 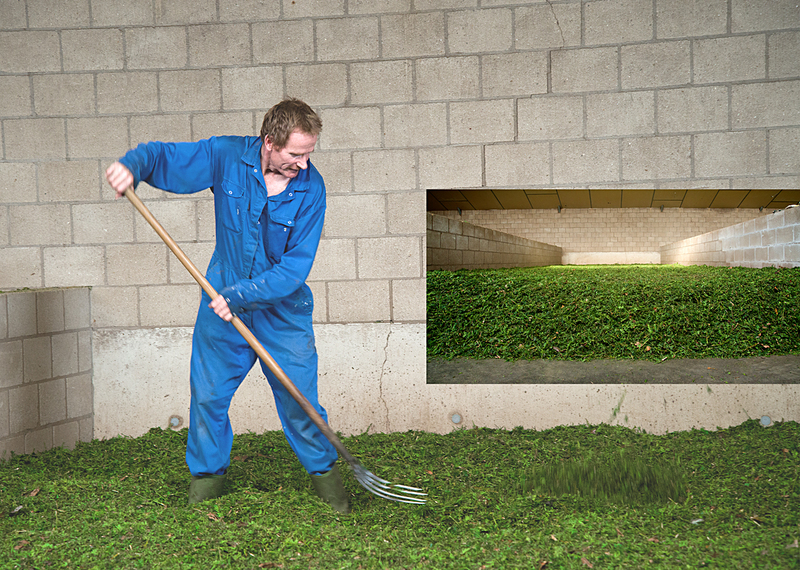 The clippings are processed as soon as possible to avoid fermentation: Fresh leaves are moist and can rapidly deteriorate if left in bags, especially in hot weather. 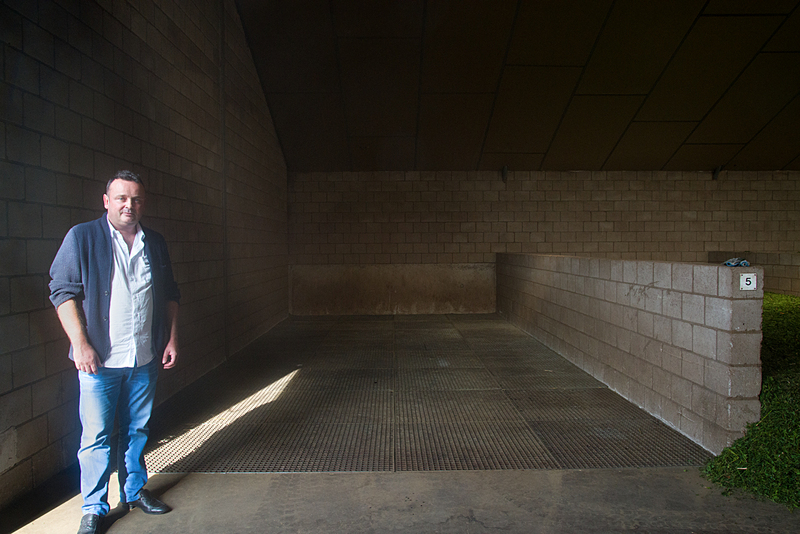 They are dried in an enormous rotary drier in a large shed at the company’s facilities. The product is then bagged. At this stage the moisture content is so low that the product is stable for many months. The bags are then transported to Europe, to meet with dried yew leaves from other European countries, ready for their journey to Asia. Limehurst is always looking for new gardens to collect yew clippings from. The company supplies the bags and can make multiple collections if necessary. 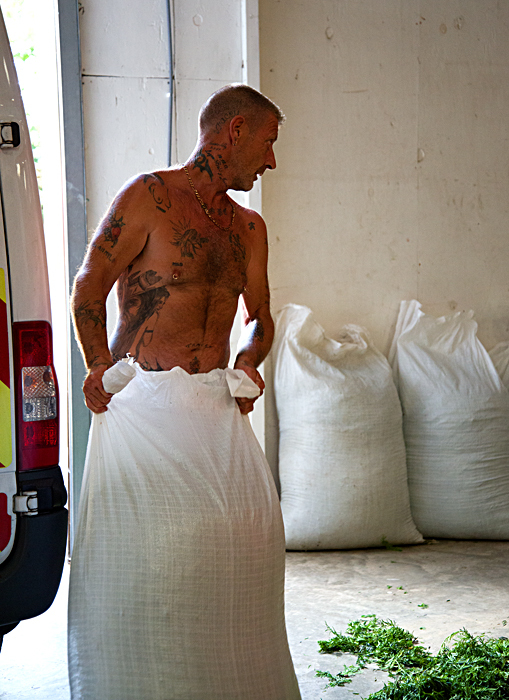 It also offers a 'bagging' service if the garden owners are unable to do this themselves. 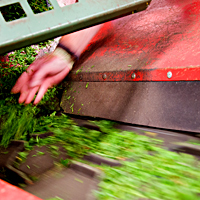 Yew clippings are paid for by the kilo but prices vary, depending on the quantity supplied and the garden’s location. The company works alongside a small army of self-employed contractors who cut hedges and collect the leaves. 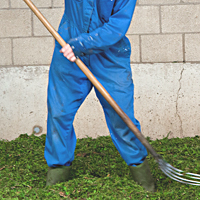 Owners either prune the hedges themselves or employ one of the contractors. 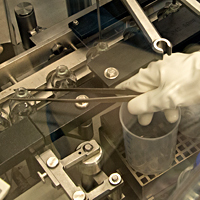 The company Oncotec Pharma Produktion GmbH, based in Dessau-Roßlau, near Leipzig in Germany, manufactures and develops aseptically produced cytostatic drugs: drugs which inhibit cell growth, such as Paclitaxel for cancer treatment. 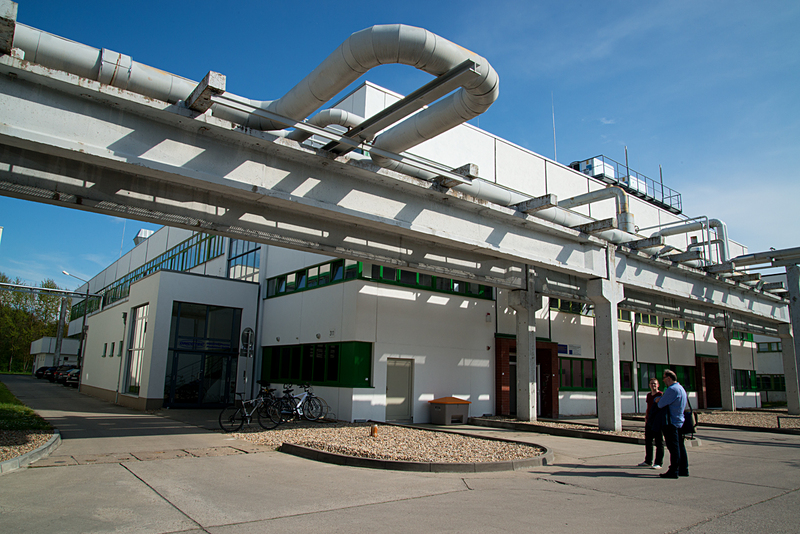 The company was founded in 1997, after German reunification, as part of a plan to redevelop an area of East Germany where pharmaceuticals and vaccines had traditionally been produced. 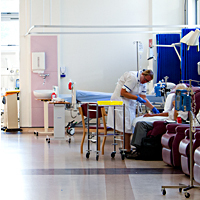 Oncotec manufactures over 20 products for 20 different pharmaceutical companies from all over the world. For a link to the company's website, please go to the Links page. In the case of Paclitaxel, the company receives the Active Pharmaceutical Ingredient (API) from companies in Canada and Korea. It adds other compounds to the API, which are called excipients, in order to make it more soluble. It then sterilises the product by using sophisticated micro filters which remove all microbial contamination without damaging the API. 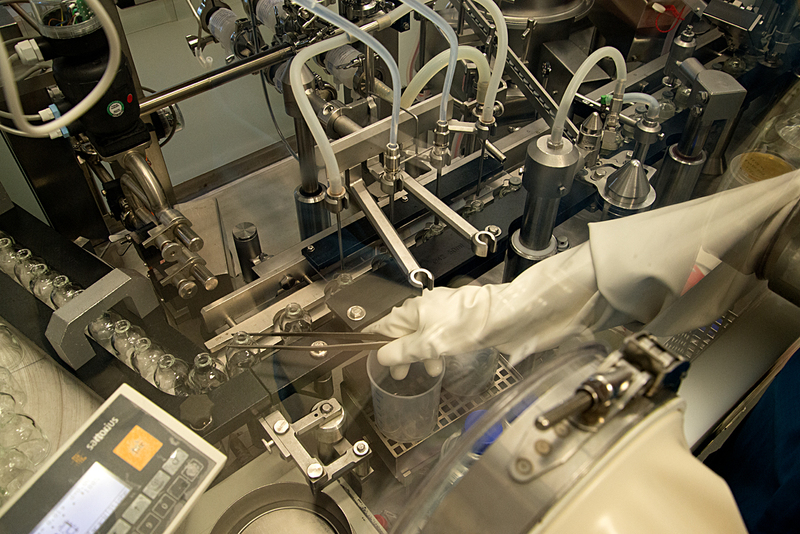 It then passes the product into a sterile, sealed filling line (an isolator) where it is bottled into the vials which will be used in hospitals. 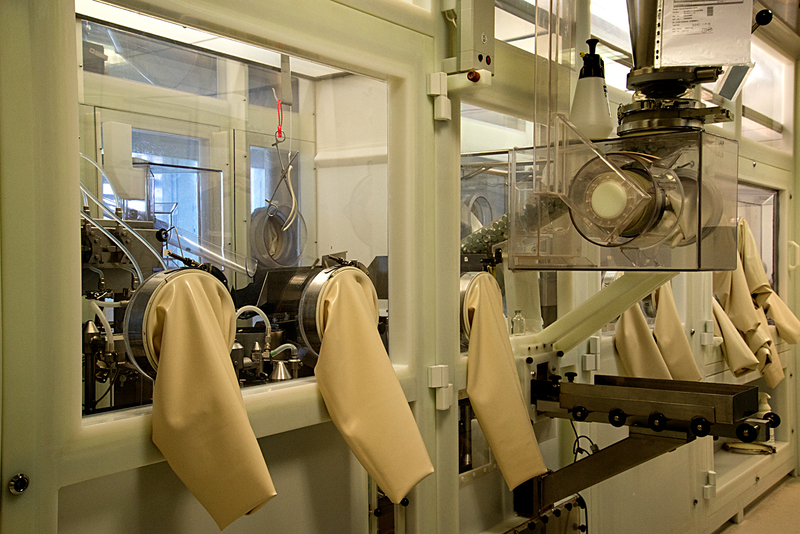 In a nutshell, the company makes sterile products from non-sterile raw materials. The process described above makes it sound easy but this couldn’t be further from the truth. 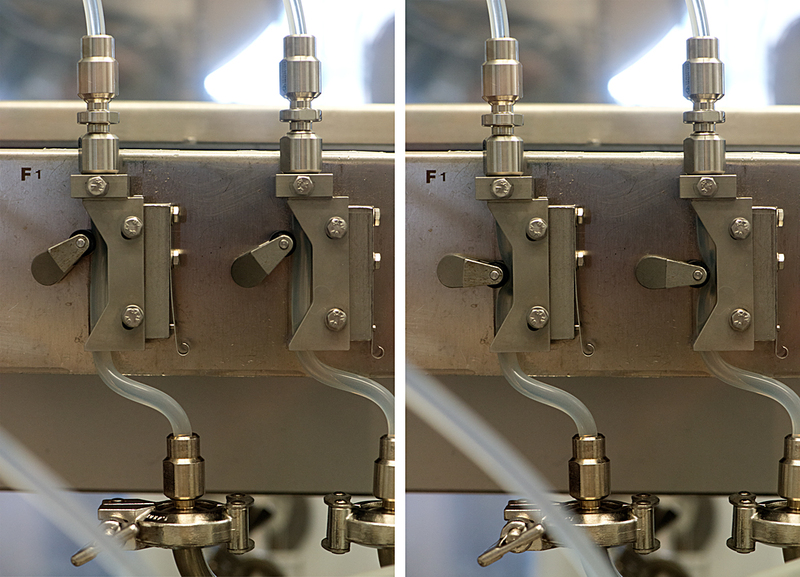 A whole floor of the factory is dedicated to the production of the sterile air used inside the isolators. There the mandatory air quality must be that of "Clean Room Class A", which is completely sterile. 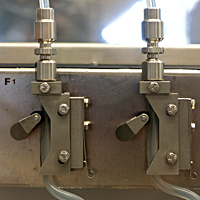 This isolator technology means that the workers looking after the filling line can enjoy the relative freedom of having a lower class of protective clothing to wear, as they are never in direct contact with the product. The technology both protects the product from human microbial contamination and the workers from coming into contact with the product, which, as we know, is cytotoxic and highly poisonous. 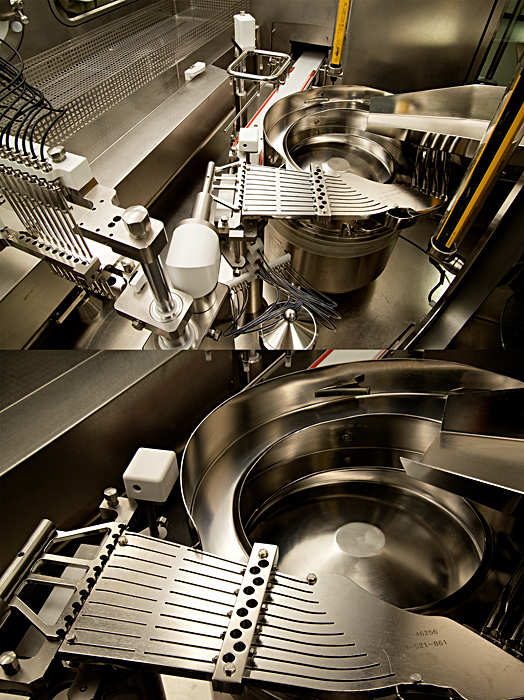 The machines used in the filling line are able to clean themselves automatically and much computer power is at work behind the scene, controlling the whole automated process. 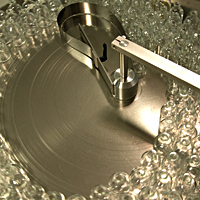 Another important element in the factory is the quality control laboratories, where tests are made on all the raw materials and on the product itself, as it is being made. 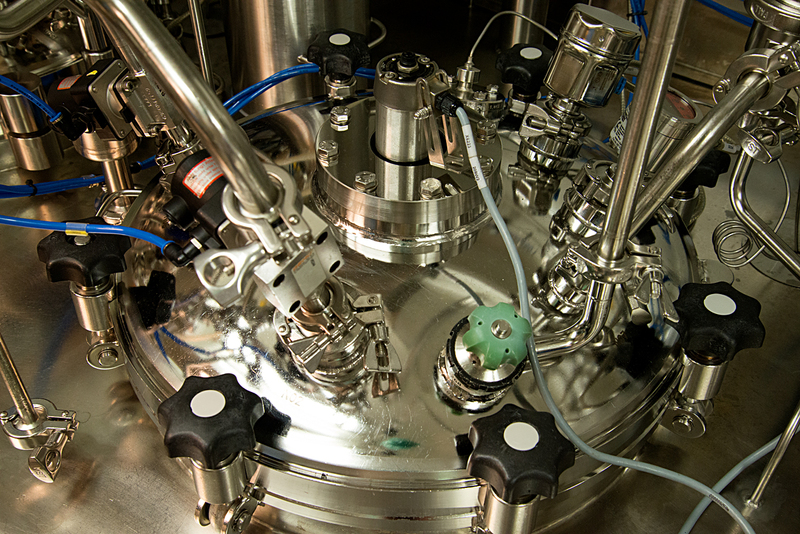 We can now have some ideas as to why the making of a pharmaceutical product is so complicated. There are many regulations governing this manufacturing process. Strict licensing approvals are needed in all countries before a company can sell its products there and inspections of the facilities by officials from each country are a regular occurrence. As patients, we have to trust that the medication we take is the right one, at the correct dose. Recalls of faulty products are rare but this has happened, for example in the case of Digoxin, involving American companies. 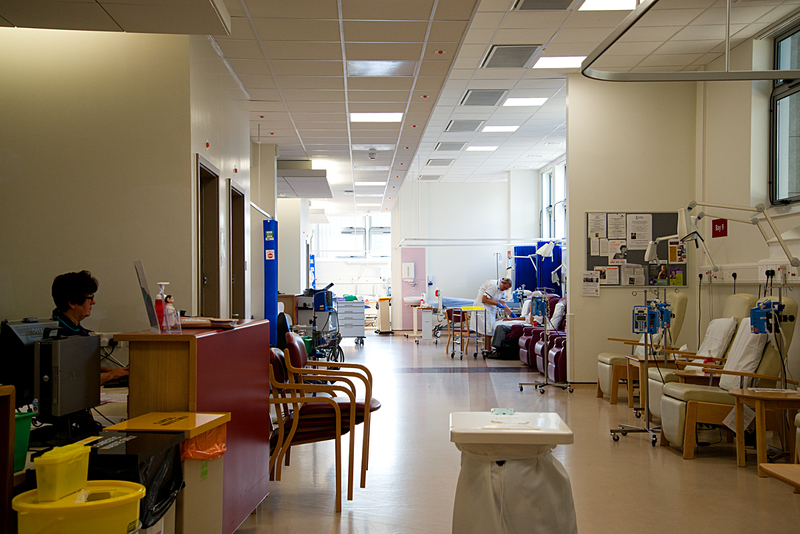 As part of the project, artist Françoise Sergy recorded a series of interviews with clinicians, scientists and patients. 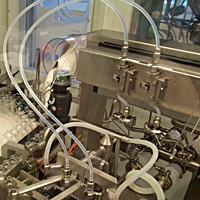 Below, you can listen to an interview with Dr Jan-Arne Gewert, who was the director of Oncotec, in which he describes how Paclitaxel is made in the factory. Kruidendrogerij ROIJKRU: drying yew leaves. 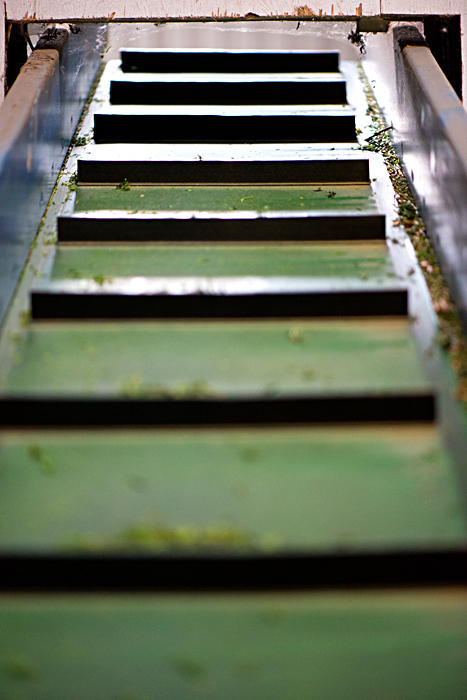 The drying shed has driers underground below the leaves. 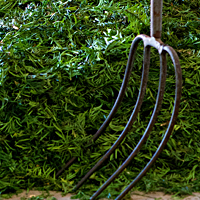 Forking by hand ensures the leaves dry evenly. 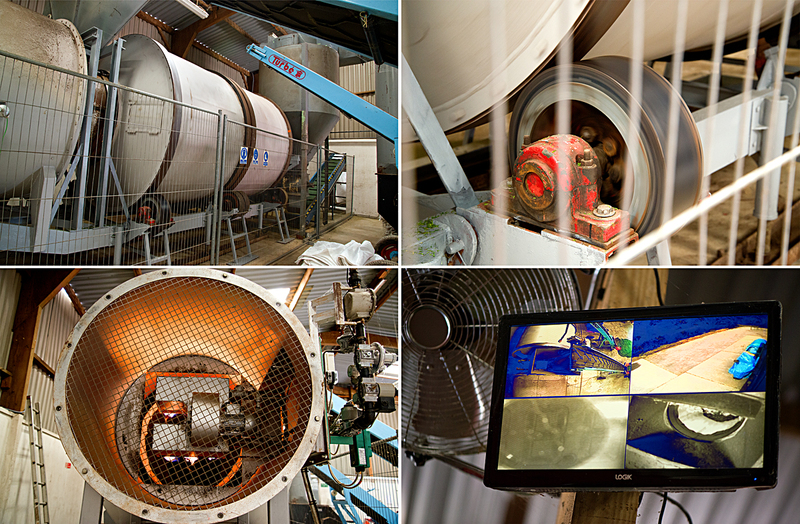 Limehurst: the rotary drier, with the engine making it rotate and the heaters. 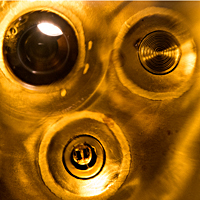 Also a close-up of cameras which look at different parts of the drying process. 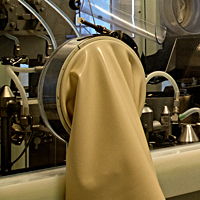 Oncotec: a filling line (isolator). 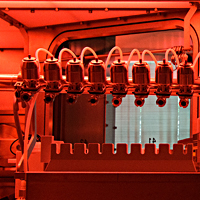 Red light is used to protect Active Pharmaceutical Ingredients which are damaged by white light. For more information about biomedical science and the research institutions featured in the project, go to the section Visits to Biomedical Research Laboratories.